JBJ has done it again with LED lighting in the aquarium. 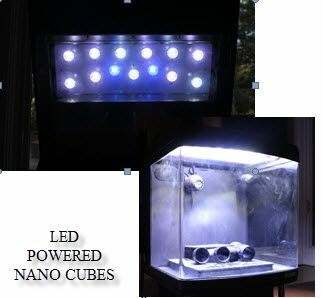 The new 6 gallon ALL LED powered fish tank provides increased illumination and very little heat. This fish tank packs a wallop when it comes to LED lights.